Free Shipping Included! 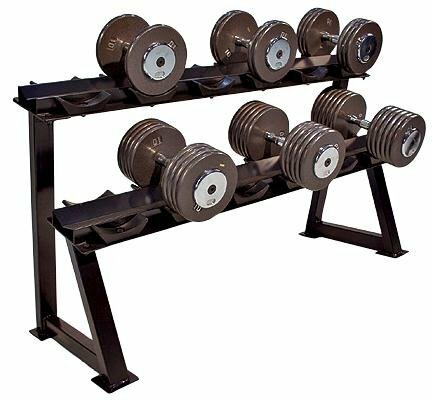 Save 1% on the JFIT Premium Horizontal Dumbbell Rack by JFIT at Strongman Pictures. MPN: 10-0400. Hurry! Limited time offer. Offer valid only while supplies last. Individual PVC cradles separate and protect dumbbells. Holds 6 pairs, up to 120 lb. size (top rack only). Steel construction. Assembly required. Individual PVC cradles separate and protect dumbbells. Holds 6 pairs, up to 120 lb. size (top rack only). Steel construction. Assembly required. Black. 54-1/2" L x 20-1/2" W x 32" H. Ships in 2 boxes. Dumbbells sold separately.